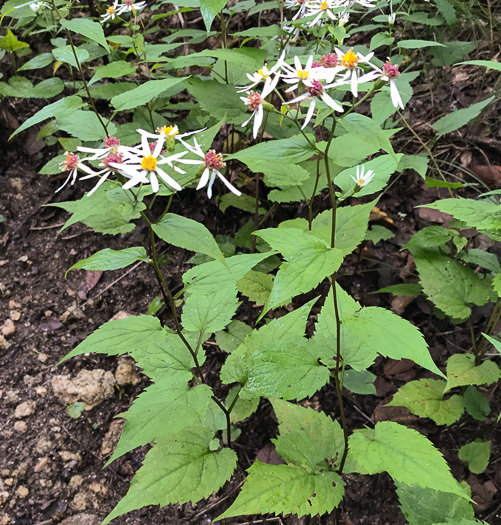 Great Smoky Mountains Wildflowers p130? 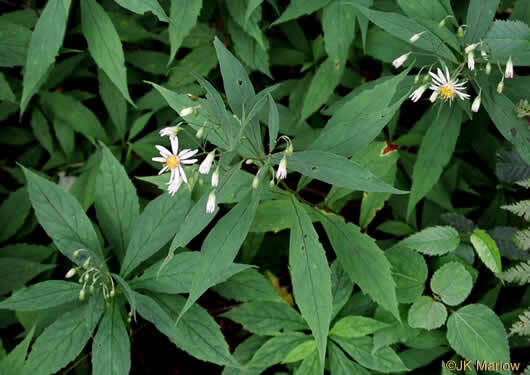 Leaves ovate to lance-ovate or the upper elliptic to lanceolate, acuminate, per Vascular Flora of the Carolinas. 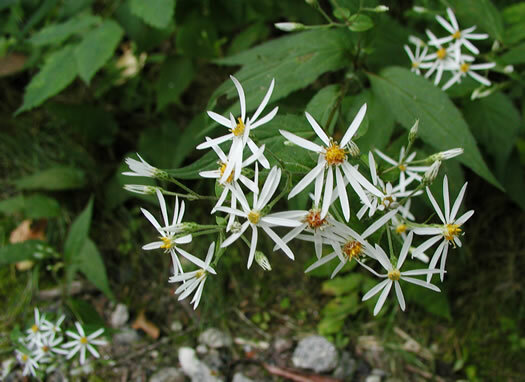 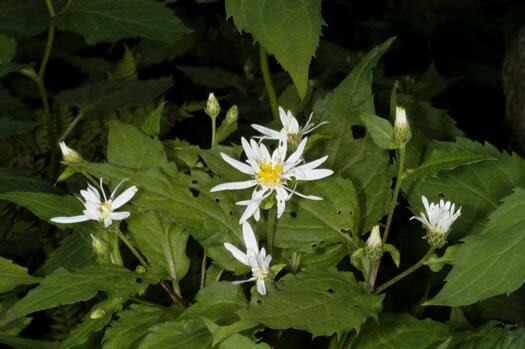 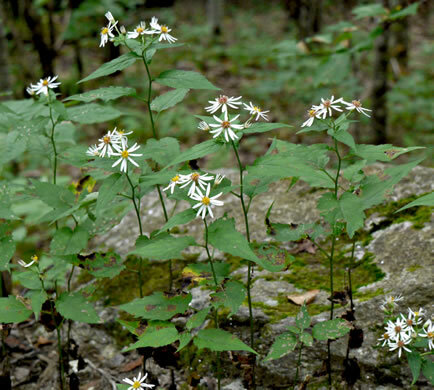 Usually found above 1200m (vs. A. divaricatus usually found below 1200m), per The Taxonomic Status and Probable Origin of Aster chlorolepis, a Southern Appalachian Endemic (Lamboy, 1992). 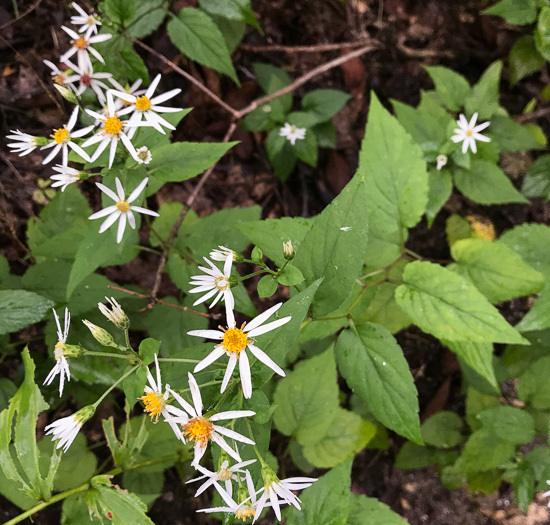 Longest peduncle in capitulescence > 1.5cm (A. divaricatus < 1.5cm), per The Taxonomic Status and Probable Origin of Aster chlorolepis, a Southern Appalachian Endemic (Lamboy, 1992).